After watching Canadian Ryder Hesjedal rise to the top of the cycling world, I got motivated to give the sport a try. Now I’m hooked. Three months ago I was a casual cyclist, taking my bike out every now and then on a trail close to my house, or down to my local coffee shop. Any biking I’d ever done was on a mountain bike and I’ve had the opportunity to do some pretty awesome rides, including a recent trip to Sedona, Arizona, home of some of the best mountain bike trails in North America. Then, this Canadian named Ryder Hesjedal goes and wins a major road cycling event this May in Italy– the Giro d’Italia (Tour of Italy). My cycling enthusiast friend explains the magnitude of this victory to me, so I decide to watch the whole event after the fact. Fast forward to a month later and I call up my aunt and uncle, who are avid cyclists, to see if they want to go for a ride. They have an extra bike so I’m in luck, I’m about to get on my first road bike ever. From the moment I sat down and started to pedal, I was in love. “Wow, this thing is fast,” I kept repeating. My aunt and uncle let me borrow that road bike- A 1988 Peugeot in mint condition. Since that bike ride in mid-June I’ve been obsessed with my newfound sport. Not many days have gone by since when I haven’t gone for a ride, or watched cycling on TV. Over the past few months I’ve watched the Giro d’Italia, Tour de France, Vuelta a Espana, Olympics, Tour of Britain, Montreal Grand Prix, World Championships and even some highlights from past events. I told you I was hooked. 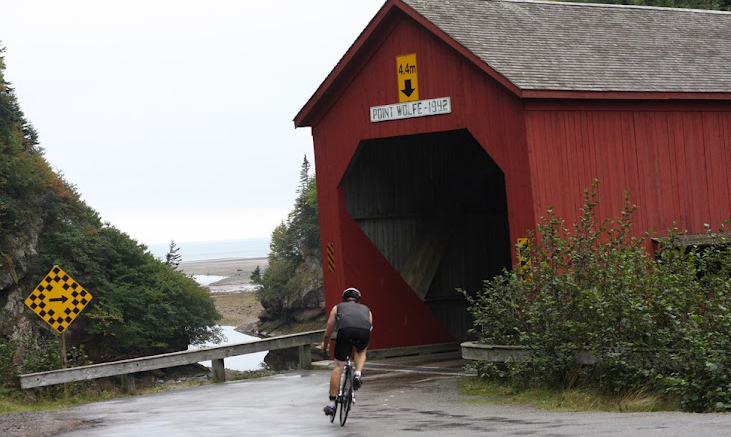 Recently I participated in my first team triathlon event at the Fundy H20 in early September and completed the Joe Howe Century, a 100-mile annual ride with some of the best cyclist in the region. Up next: the Riverport Duathlon on September 30th. Next year, EPIC Dartmouth: a 180km ride as part of the team event for an iron distance triathlon on June 30th. Cycling is a sport anyone can do. If you haven’t been on a bike for a long time, dust off that bike in your garage or borrow one from a friend or relative. Or better yet, head to a local bike shop and just start asking questions, there are various bike clubs for beginners and advanced riders.